The question is read. The contestants listen intently. The timer starts. 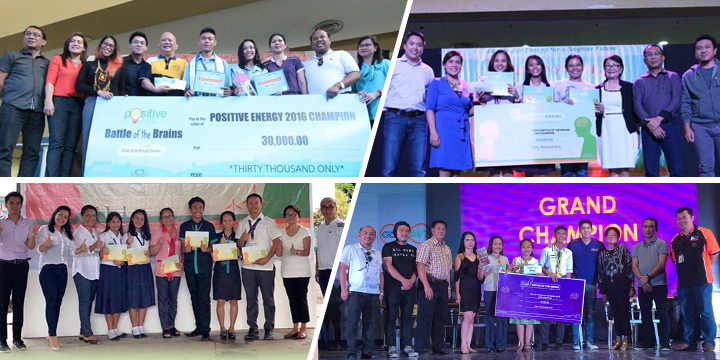 For three years now, Drink has staged the Battle of the Brains (BOTB) in major cities in the Visayas region, with the Energy Development Corporation (EDC), a renewable power production company of the Lopez Group. The BOTB aims to educate the youth about the effects of climate change—fiercer summers, stronger storms, deadlier floods—and the importance of acting now to improve the situation. High school students compete with each other in answering questions about environmental protection, sustainable development, and the advantages of using renewable energy such as geothermal, wind, and solar energy. EDC is one of the champions of business sustainability in the Philippines. Sustainability is deeply embedded into the company’s operations and is practiced and measured across its value chain. Having produced sustainability reports annually since 2010, EDC leads the Philippine energy industry in the practice of sustainability reporting. Drink, a sustainability communications agency, partners with EDC and other corporations to produce meaningful sustainability reports. Moreover, Drink encourages its clients to go beyond reporting: to use available sustainability data in solving business problems, and to communicate such data through creative stories that inspire employees, partners, and communities. EDC has risen to this challenge. It has used its sustainability data and practices to raise awareness in stakeholder communities and to create a positive impact on society as a whole. From 46 participating schools, there are now 71 schools for 2018, up by 65%. From an estimated 800 students who watched in 2017, there are now an estimated headcount of more than 2,000 students for 2018, up by 160%. 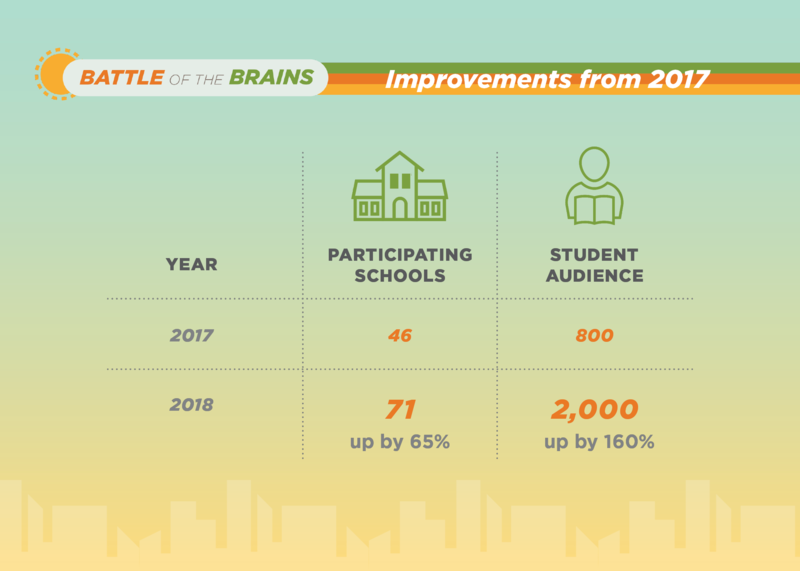 The Battle of the Brains is a pioneering project that introduced sustainability to students and communities. Hundreds of students have participated in the competition since its inception in 2016. Thousands of their peers have watched the BOTB semi-finals and grand finals in major schools and various other venues across the Visayas region. Thousands more watched the events as they unfolded live on social media. Education begins with knowing the facts—both EDC and Drink acknowledge this as the first important step to making an impact. In the mechanics of the contest, only one school wins. But actually, all the participants and members of the audience win. They all learn something important for that day: that they have the power to fight climate change by making responsible lifestyle choices. At an individual level, it could be as simple as eating a meat-free meal once a week, because—as students learned from one question asked during the BOTB—animal-based food production is one of the biggest contributors to greenhouse gas emissions. It could start from a school-based recycling campaign, that may be implemented across the barangay, and eventually could be enforced municipality- or city-wide. If we want to bring sustainability to actuality, we need a strong behavioral change campaign. This begins with people having access to useful information. The Battle of the Brains, as a creative communication campaign, is rooted in this principle. The hope of EDC, and of Drink, is that BOTB’s success contributes to making sustainable development a reality.